A cost-effective solution to counter a real-world reality! 07ZZ-00-NCBR-Equipment, Specialized Hazard Detection, non-CBRNE equipment not included elsewhere in Section 7 that is intended for all-hazards detection missions, and that is limited to (or focuses primarily on) non-CBRNE related events. The 2018 American Security Today Homeland Security Program ASTORS Award Winners have been announced! 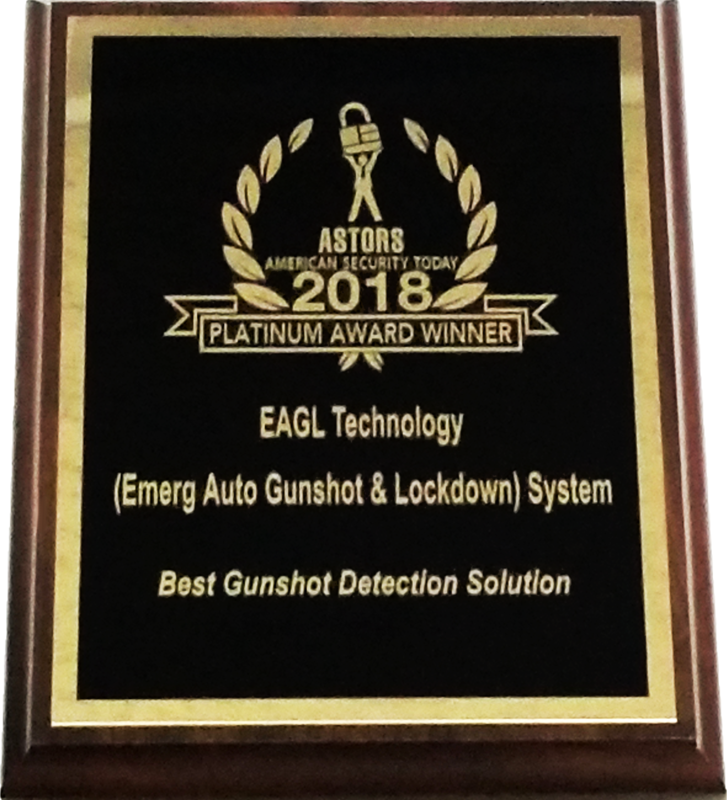 EAGL Technology received the Platinum Award representing the Best Gunshot Detection Solution! The K-12 school shooting database documents each and every instance a gun is brandished, is fired, or a bullet hits school property for any reason, regardless of the number of victims, time of day, or day of week. 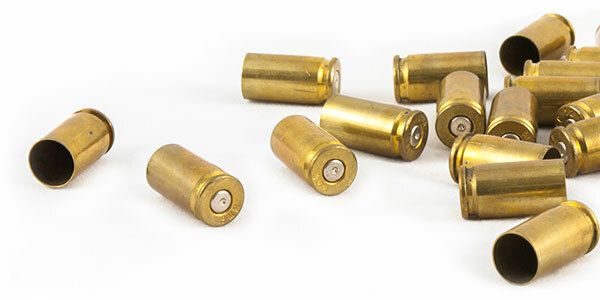 Lock down defined areas and notify law enforcement with the EAGL Gunshot Detection & Lockdown System in less than 20 seconds. 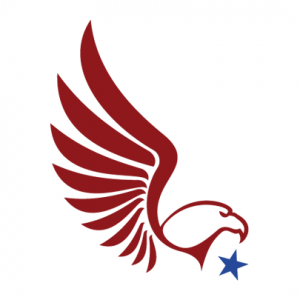 The EAGL System provides Access Control and Notification features when an active shooter event occurs. These autonomous features can be integrated with existing systems, providing a cost-effective solution to protect lives, dramatically reduce law enforcement incident response time, and positively influence incident outcomes by providing law enforcement with live stream video of a shooter’s location and the associated ballistic data. Result: Increasing citizen & first responder survivability and decreasing risk! The Office of Community Oriented Policing Services (COPS Office) has long demonstrated a commitment to school safety and to ensuring students’ success in supportive, safe environments. The COPS Office STOP School Violence: School Violence Prevention Program (SVPP) is a competitive award program designed to provide funding to improve security at schools and on school grounds in the grantees’ jurisdictions through evidence-based school safety programs. For FY 2018, the COPS Office awarded more than $24 million in SVPP funds to 91 agencies benefiting more than 5,000 schools and three million students. Both the EAGL and the CityWeb Systems use patented FireFly® and DragonFly™ energy sensing technology offering the most effective indoor/outdoor Gunshot Detection and Ballistic Identification equipment. The FireFly® and DragonFly™, originally pioneered by The Department of Energy, was commercialized by EAGL Technology. Energy, Manufacturing, Mining, Telecommunications, Water/Sewage, Agriculture, Financial Services & Transportation. Schools (Pre-K to 12) & Institutions of Higher Education (IHE). Hospitals, Healthcare Campuses, Assisted Living Facilities, Clinics & Hospices. 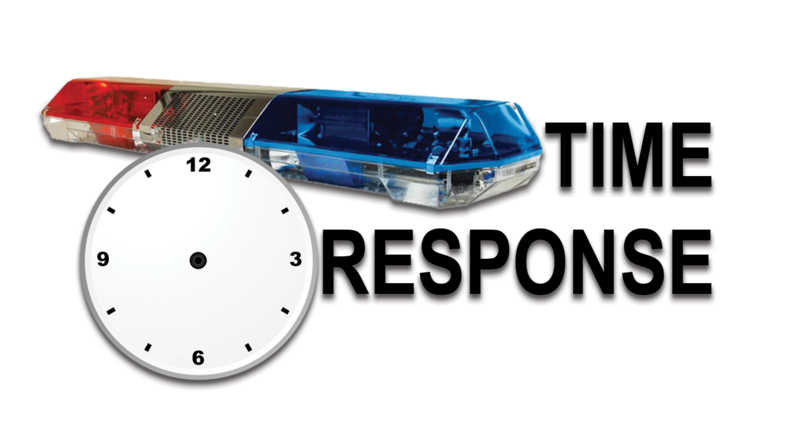 Law Enforcement, Fire Services & Emergency Medical Services. Temples, Churches, Synagogues & Mosques. Sports Complexes, Theaters& Amphitheaters, Zoos, Amusement Parks, Casinos, Music Halls, Hospitality (Lodging & Theme Parks). Military & Other Government Properties (Local, State & Federal includes associated Public Open Space. Business (Open and Closed to Pedestrian Traffic), Malls, Open Space Public Areas. 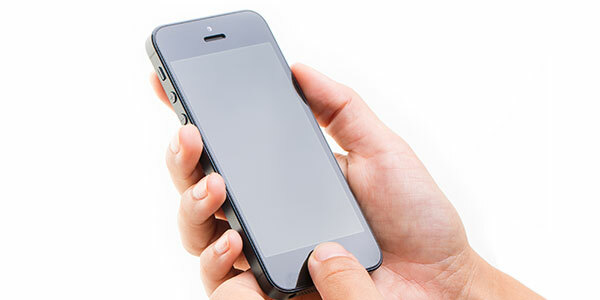 is committed to providing the highest level of security possible using the latest detection technology. Request a demo to see how.